The importance of calling your prospects can’t be overstated. It’s a surefire way to find out their needs and close deals. How important exactly? For SeamlessDocs, 90% of the conversations that take place right before a sale happen on the phone. Their reps live in Pipedrive, so it made sense for them to use a phone service that centralized their team’s activity in one place. 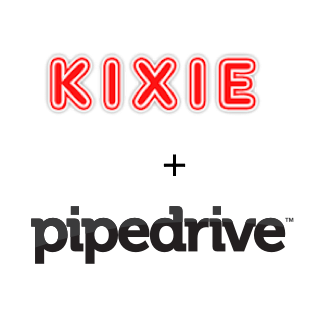 Kixie is a better business phone service for sales teams, and you can call customers directly from Pipedrive by using the Kixie integration. The company allows you to automatically create new contacts in Pipedrive, and sync all your Pipedrive call records and recordings from your desk phone and cell phone. In our first post about Seamlessdocs, VP of Business Development Marc Ende talked to us about the importance of calling their customers and their detailed approach to addressing cold, warm and hot leads. According to Ende, SeamlessDocs’ reps are 75% more successful engaging prospects when they are called as opposed to emailed, and that 90% of the conversations that happen directly before the close happen on the phone. Ende encourages his reps to stay on the phones as much as possible, as clients live on the phones, not in email. Here’s our interview with Ende about how SeamlessDocs set up the Kixie-Pipedrive integration to keep their reps on the phone and off the computer. How did you find out about Pipedrive and Kixie, and what kind of a solution were you using beforehand? We were using Close.io for a CRM. I found Pipedrive when I searched for a CRM that fit a B2B sales cycle with large deals and longer sales cycles. I was also looking for a CRM that had a very visual view of deals with a simple UI, and I found Kixie in the connections page within the settings of Pipedrive. I had reached out to Pipedrive support multiple times asking for a feature like this, and then one day voilà, there it was. It has been a huge lifesaver for our team. How is the Pipedrive-Kixie integration set up and how difficult was the integration? It was so easy. I signed up on the Kixie website and then our Kixie rep did the rest. Within days, we received brand new HD VOIP phones with instructions on how to plug them in, and once I plugged them in it worked instantly. The only other step was installing the Chrome extension which just took a couple of seconds. What kind of results or improvements have you seen since you started using the Pipedrive Kixie integration? I can say that our sales reps are 10x happier as we have effectively increased their sales efficiency. They are spending less time manually dialing numbers and logging calls. Now they can focus on what they do best. Read part one discussing how SeamlessDocs addresses different types of leads over here.